Naomi manages the NMR metabolomics facility at Glasgow Polyomics, where she is responsible for providing a clinical NMR metabolomics service to the academic and commercial community. She is also a research assistant in the Institute of Cardiovascular and Medical Sciences (ICAMS), where she collaborates with Naveed Sattar, Professor of Metabolic Medicine, to help move this high-throughput profiling approach into the clinical laboratory. Naomi has a BSc (Hons) in Biochemistry and Molecular Biology from the University of Strathclyde, an MSc in Clinical Biochemistry from the University of Birmingham, and a PhD from the University of Strathclyde. Her postgraduate training has focussed on characterizing genetic (SNPs) and glycan biomarkers for multiple sclerosis. Naomi is an Associate of the Royal College of Pathologists. 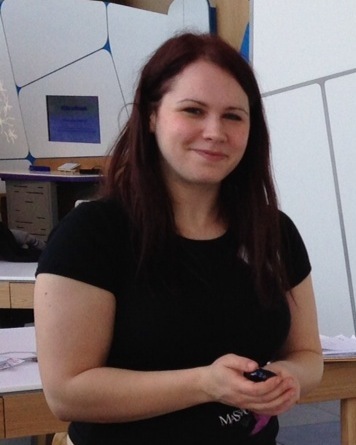 Naomi worked as a pre-registration clinical biochemist in Birmingham from 2008 to 2012. As part of her training, Naomi spent time on secondment to Birmingham Children’s Hospital, in newborn screening, inherited metabolic disease, and genetics laboratories, and at the West Midlands Regional Toxicology Laboratory at Sandwell & West Birmingham Hospital. In her role in laboratory medicine, her main responsibility was to interpret the results of clinical biochemistry assays and offer advice to clinicians. Naomi's interests are the effect of pathology on biochemical measures in biofluids and the use of these measures in the diagnosis, prognosis, screening and monitoring of disease. Naomi is also interested in the methods used for measuring these analytes. Rankin, N. J., Preiss, D., Welsh, P., Burgess, K. E.V., Nelson, S. M., Lawlor, D. A., and Sattar, N. (2014) The emergence of proton nuclear magnetic resonance metabolomics in the cardiovascular arena as viewed from a clinical perspective. Atherosclerosis, 237(1). pp. 287-300. The use of proton nuclear magnetic resonance to investigate dyslipidaemia and small molecule accumulation in chronic kidney disease (ISSF Catalyst). Wellcome Trust. 2014 - 2015.